1. 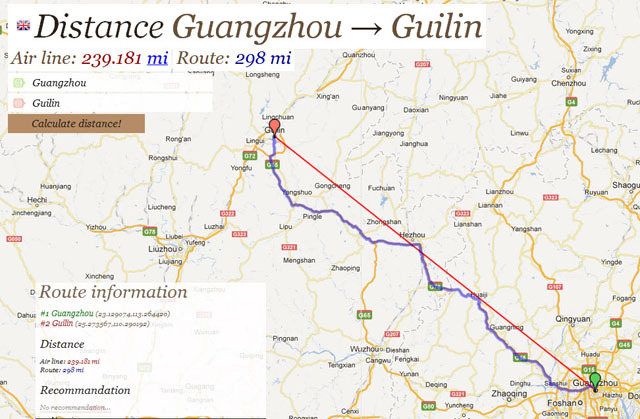 According to this website , the distance of Guangzhou and Guilin is 298 miles or about 480 km. 2. As this is the regular train (not the executive one), so the train will stop in several stations. Firman was not really sure, whether this train was a sleeper train or not, if not … we’re gonna sit for hours! lol. We didn’t need to wait too long for our train to come. The people in the waiting room with the destination to Guilin, walked with us to the station platform. We searched for our train … K36. As we walked to carriage number 14, we could see through the window that it’s the sleeper train! Yeaahhahahaha!! We handed our ticket to train officer, and she gave us another card with only showed the carriage number, and the room number. So ours should be section number 12. Aahh … What a relieve! A simple bed is much better than a seat, I guess? 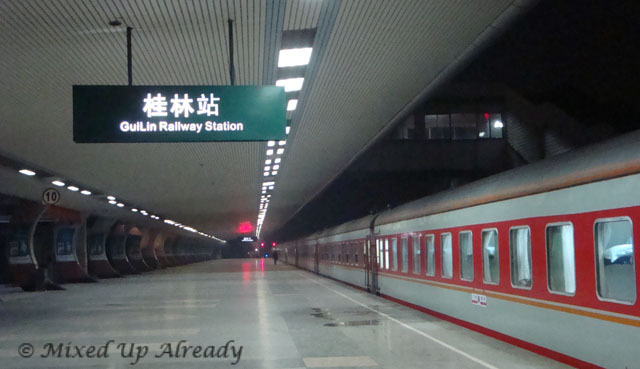 So … Here we come Guilin!!! We knew that we would stop in several train stations. We didn’t see any sign of which bed were ours. So I thought perhaps it’s best for me to sleep now. Sometimes I heard the train staff walked in the alley with a cart contains food and drink … So no need to worry, if you forgot to bring drinks and snack. And after a few stops, I heard footsteps approaching, and stopped in our section. But not long after that, they woke us up … It’s an uncle and an aunty. They spoke in Chinese to us, but we didn’t understand. They called the train officer. 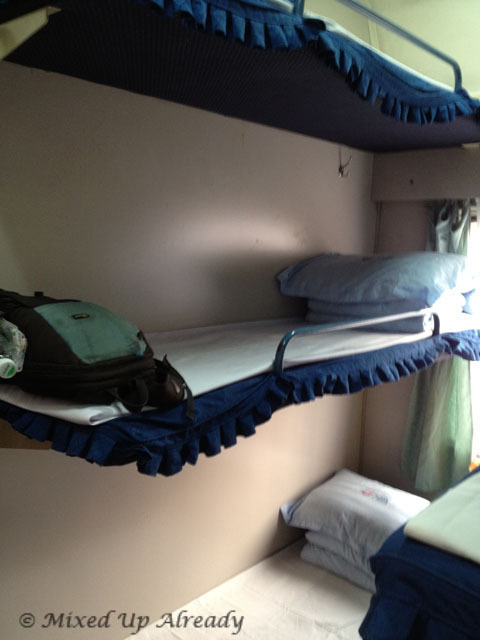 Now the train officer spoke to us in Chinese too … And she patted the middle bed, and also asked for our ticket … And she showed a Chinese character on the card (which I assumed, its telling us which beds were ours). Hmm … I guess that’s the sign for us to move, because the lady was quite upset that we didn’t understand her … (sorryyy … 🙁 ). I tried many positions, but I still didn’t feel comfortable … Even I tried to hold a hook (to hang our belongings) with one hand, and the barrier with the other hand, but still … I was afraid that I would fall!! I did fall asleep sometime, but then I would awake quickly. Well you know how it feels, when you can’t sleep, and hoping that you will reach your destination soon … Yes … It felt like ages haha!! But finally, I fell asleep, I mean really sleeping, at around 3AM … ! I woke up, and looked at my watch, it’s 6:30AM. I supposed that we’re about to reach Guilin. So I went down, put the sweater, and grabbed some bread. Apparently, the uncle and aunty were also going to Guilin. They looked at us again, and smile. They spoke again to us in Chinese, and we just said ‘Guilin,’ and Firman showed the flyer of our hostel in Guilin. Firman said to me, perhaps if we could communicate, they would offer us to stay at their house. It’s possible!! Postcard from Shah Alam: The Blue Mosque! Wow triple storey bed. I wouldnt want to sleep on the 3rd storey bed either! Very brave travelling in China. We want to do a big journey through there one day… hopefully soon!